Google Voice is an awesome service that enables free callings to USA and Canada and has got affordable rates for rest of world..From last few days, I am getting Google Voice’s Call button in my gmail chat window. As Google Voice is not officially launched in India, this service keeps on coming and vanishing randomly.. I have got some screenshots, but i will save them for later stages. I am not sure if Google is just testing Google Voice promo in India..i believe its launch in india will radically change the voice and mobile market.. I am happy with my new Broadband offering me 2Mbps, but I am not satisfied with the initial download limit they have imposed for the starter plan. I just saw your comment on Markshuttleworth’s blog about ubuntu. 1. The reason that Ubuntu does not deliver mp3/divx/wma is that ubuntu is available for free. To distribute the above legally requires paying people for the rights to. (patents) I do know that windows costs the same amount in certain areas of asia however it is not totally legal. 2. Yes, there are more exe files around but an exe is not a package it is just a simple program (unless you are talking about self expanding archive). For windows firefox.exe is fine but you really need all the other hundreds of files that are part of the mozilla installer. Also, with self expanding archives and installers is it not a pain that all of them are similar but are not. You can’t really easily automate installing many apps onto a machine easily like you can with rpm/deb. Ex: how would you go about creating an auto install for firefox in windows with your own plugins and prefered home page. CDMA services provider Tata Teleservices Ltd (TTSL) is taking the tariff war to a new turf with the launch of low-end handsets priced around Rs 2,000 with internet connection. The company will charge around Rs 100 per month for its services, the lowest in the country for browsing the Net over mobile phones, compared with the existing tariffs of around Rs 500 per month charged by other service providers. The Tata group company has entered into a tie-up with Opera Mini, a global mobile browser developer, and CDMA software major Qualcomm for the chipset. Initially, the service would be available on Huawei 2900i, priced at Rs 1,999 and other low-end handsets that would be rolled out by the company. At present, internet services are also available on Samsung Explore, which is priced at Rs 5,499. “This would be cheapest internet connection over mobile phones in India, if not in the world,” added Sethi. An unlisted company, TTSL is adding around 1 million customers per month and, at present, has over 20 million subscribers across 22 circles in the country. Industry analysts said this would be the cheapest internet service even though firms such as Bharti Airtel, Reliance Communications and BPL Mobile provide internet over mobile phones, the lowest rates would hover around Rs 400 per month. Even though we wont expect decent broadband on demand very soon, nevertheless it will prove a good effort by Tatas to take internet access to almost every strata of society, where many people lack even the most basic telephony service. Between the spectrum allocation issues, its intresting to find what the future will hold for Indian telephone industry. any one need c2900i drivers. can contact me on 9210937219.
i am having samsung sch-s109.can i connect internet thru it on my PC?? i know the internet setting of huawei 2900i. i will send you the driver. i have a c 2900i huawei mobile driver. According to Wall Street Journal, this is the 10th year since the first blog came to life..thats quite an incredible fact. 2. It also made use of RSS (web site syndication), and also introduced several new concepts like podcasting, content management, social networks, news feeds etc. 3. Arguably, one can say that true digital democracy exists today primarily due to blogs people read and people write. Infact there have been several instances where there were heated discussions of bloggers being ‘failed’ journalist, but anyway, todays bloggers have got far more awareness as far as content quality is concerned. 4. Blogging forms the first successful step in Web 2.0 revolution. Lets know something more about the blokes who began this revolution. 1. Dave Winer, 52, pioneered the development of weblogs, syndication (RSS), podcasting, outlining, and web content management software; former contributing editor at Wired Magazine, research fellow at Harvard Law School, entrepreneur, and investor in web media companies. A native New Yorker, he received a Master’s in Computer Science from the University of Wisconsin, a Bachelor’s in Mathematics from Tulane University and currently lives in Berkeley, California. 2. Jorn Bargar is the father of the term ‘weblog’ which was actually a joint word of ‘Web Log’, when he began the first blog of internet history –The Robot Wisdom. 3.The next mentioning blog is BoingBoing. Boing Boing (originally bOING bOING) is a publishing entity, first established as a magazine, later becoming an award winning group blog. I Can Has Cheezburger is a site that gathers, organizes, tags, and captions what we hope is the most funny and slightly weird pictures of lolcats and lol* (other animals) from the Internet. We also receive user submissoins, and we caption some (tag = wemadesit!). Many of the earlier images on this site were found around the internet and forums (there are hundreds of forums where this meme has grown outside of its original context such as fark, fazed, vwforums, gpforums) — we attribute as much information as is available, however due to the nature of the internet, anonymity, the inability to locate the creators of a picture, and sourcing info our information may be incomplete, or flawed. We take this opportunity to introduce our selves that we are into trade of Customs, Port and Airport Auction. We have in stock few Data Cartridge. Details of the Product is given below. Kindly have a look at it. Finally its there. The ‘Unwiring Pune’ project has kicked off.. This new wirefree access utilizes WiMAX (Worldwide Interoperability for Microwave Access) and Wi-Fi (Wireless Fidelity) technologies to equip Pune with high-speed wireless internet. Wireless connectivity will allow people to access the Internet through a laptop or personal digital assistant (PDA), sans the need for cables. WiMAX is claimed to be the most cost-efficient way of building wireless data networks and a means to link people over large distances for “last mile” connectivity and bridging the digital divide. Taking a leap over Bangalore and Hyderabad, Pune will become the first Indian city to have a high-speed wireless Internet network even before the Centre’s much-awaited spectrum policy is announced. Initially Pune did had a demo of wireless internet access on Walking Plaza, but today, this project has finally taken off in grand style. Streaming, broadband access and that too with ease and convinience is sure to rock Pune. Imagine the power of Broadband without the hassles of wires..
What more can I say? Its true that Pune was coming in news for all the wrong reasons(rave parties, orkut misuse etc), but now I think that this news makes one feel good….Similar kind of service is provided by the search engine giant Google in San Francisco. Now we are at par with the developed regions in some departments, if not all, but that shouldent stop us from being happy..
A. WiMAX (World Interoperability for Microwave Access), based on the IEEE 802.16 standard, is expected to enable true broadband speeds over wireless networks at a cost point to enable mass market adoption. WiMAX is the only wireless standard today that has the ability to deliver true broadband speeds and help make the vision of pervasive connectivity a reality. There are two main applications of WiMAX today: fixed WiMAX applications are point-to-multipoint enabling broadband access to homes and businesses, whereas mobile WiMAX offers the full mobility of cellular networks at true broadband speeds. Both fixed and mobile applications of WiMAX are engineered to help deliver ubiquitous, high-throughput broadband wireless services at a low cost. Intel currently plans to integrate WiMAX and WiFi into its notebook platforms based on Intel® Centrino® Mobile Technologies. Pairing the two will help bring users the ultimate in high-speed mobile broadband. Intel believes that WiMAX, with its technical and economic advantages, should help enable mainstream adoption of personal broadband. Wow that’s great news! It’d be great if you could link to some sources that talk more about this project. The Bangalore Unwired Project kicked off early – as usual. But tangled in the beaurocratic-tapes – as usual. For a looong time bangalore has been getting attention and resources, but now its time that the overhyped city gets a break..its too much crowded..
East or west..Pune is the BEST, and soon, Pune will overtake the world..Watch it. its really get dat ,,….people…use it ..we have no more time 2 spend ..its better dat we can access net from anywhere …..in any place …. Pune holds the power to be the IT and educational epicenter of the entire world, not just India. nice bike of yahama 165cc as compair herohonda cbz, apachi and bajaj pulusr dtsi. 2. Their service is very bad. I dont know any other company which dosent provide TV services even after paying the alloted rent. 3. The dealer and the company have got different opinion about the schemes and number of channel subscription. 4. The movies on demand are of utter crap quality. They are mostly unwatched B or C grade Hindi movies which were thrown out of theaters in the 1 week itself. 5. The customer care is handled by half paid blokes. One of them asked me to do a MASTER RESET and discovered that there is a ‘problem’ in their STB. Whoa….Its like formatting the disk and trying to find the stored data in there…and then saying ‘Oh, there might be a lil’ bug’. One positive thing about Dish TV is that free-to-air channels can be viewed on the STB, even if monthly rent isent paid on time(this can change soon). However, I dont need to clarify about the media quality of free-to-air channels. Its unspeakable. I think the TRAI has lost a chance to earn more bribe by leaving out the TV section. Pathetic dogs. Just In reply of your view specially on Dish Tv. As i am using Dish TV for past 2 years and till there is no problem with services or with any instrument. 1. As you said about STB i don’t think its of inferior quality else it will not work smoothly for last two years. 2. 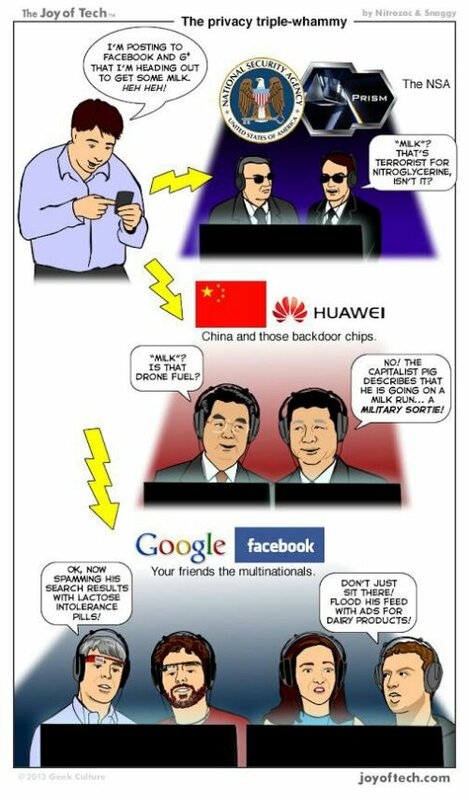 About dealers and company everybody will have same information. As currentlythey have one great offer “FREE BHI ZYADA BHI” in this you will get 6 month free on 1st Connection and 12 Months on second. 3. Movie on deman….they shown a lots of good movie as well like munna bhai, phir hera feri….and list goes on. 4. 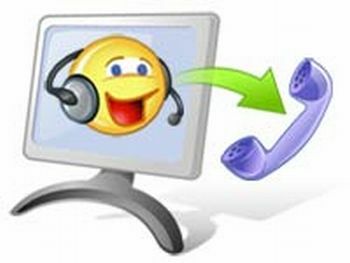 About customer care till now i have faced any problem they resolved my queries very nicely. Further list of goodies are very large as compared to other key players in the market. Today BSNL announced a launch of a new broadband service codenamed ‘TripleNet’ which will allow users to use the phone, surf the net, and above all, watch the TV on PC. Phase 1 will include free to air TV channels and Phase 2 will have value added services like games, FM radio, movies on demand and above all – video telephony. Instead of a modem, a set top box will be provided, and cable media will be used as the default connection. However, its unclear whether satellite communication will be used or not. Pune will be the first city in India where this kind of service will be tested and will be launched for all around Jan 2007. Apart from some technical hitches, BSNL broadband is regarded as an affordable way to get online comparatively fast. The other exciting thing would be a wirefree connection, and according to some sources, Pune is soon to get Wi-Max too. Hmm..the future appears bright and connected. Great news, I am being a netddict , waiting for such scheme. Comment removed. Probable Spammer spotted. Can you lead us to the official announcement ? Add a dynamic search box to your site that includes Google Web, Video, News, Maps, and Blog search results. Build powerful web apps on top of Google search. The Google AJAX Search API provides simple web objects that perform inline searches over a number of Google services (Web Search, Local Search, Video Search, Blog Search, and News Search). If your web page is designed to help users create content (e.g. message boards, blogs, etc. ), the API is designed to support these activities by allowing them to copy search results directly into their messages. There are several reasons for Google to make use of AJAX apps. 2. Its very easy to write completely functional apps with local enhancements that can run easyly on demand. 3. The execution and response time of these AJAX apps is very less, thus enhancing productivity. 5. And finally, people like apps that are fast, attractive and work without major trouble and headache. Not many people like to install a Java/Macromedia plugin. This does count at the end of the day. Thus this is the small step towards Google OS. Wait and watch..more will follow shortly. It has really shaken up the internet as we know it pioneering most of the hip online technologies like AJAX and Mashups. But today while observing Yahoo!, its apparent that the company has lost its focus. First it tried to topple AOL from online portal bussiness, and concentrated on providing goodies and colourful products to end users. It did manage to pull of AOL’s share, but in doing that, it just slipped on the future online trends management. At that very time Google slowly expanded its image and bussiness from reliable search engine to a trend setter in online bussiness. While Yahoo! limited its ad market solely to US citizens, Google gave a chance to everyone to earn money through Adwords. This move made Yahoo! loose its potential consumers. A very wrong decision. I am not so sure about the point about Yahoo failing. It seems to have got back on track in the last few quarters, and about now, seems the only one who can think of matching Google in terms of innovations. Yahoo answers was the first new thing ahead of others, and Yahoo Photo continues to march on. Google has failed miseably in its IM, as compared to Yahoo and MS.
Yahoo! Answers is certainly one of the best services we have. I just cannot agree more.. I dont mind Yahoo! IM, but M$…??!!! We must not forget that Gtalk, Googles IM has been launched just a year ago. We yet have to see the true competition between these softwares. We must agree that Google Adwords and Adsense technology has got no competition as of today, because nearly 67% * of todays visible sites make use of Google related Technology to monetize their size. I’ve implemented the google search api in my wordpress blog here . Nice. I like.